I don’t know what this was? We are NEW to this lake life stuff. We came home last week and had, I’m going to guess, MILLIONS of house guests waiting on us. 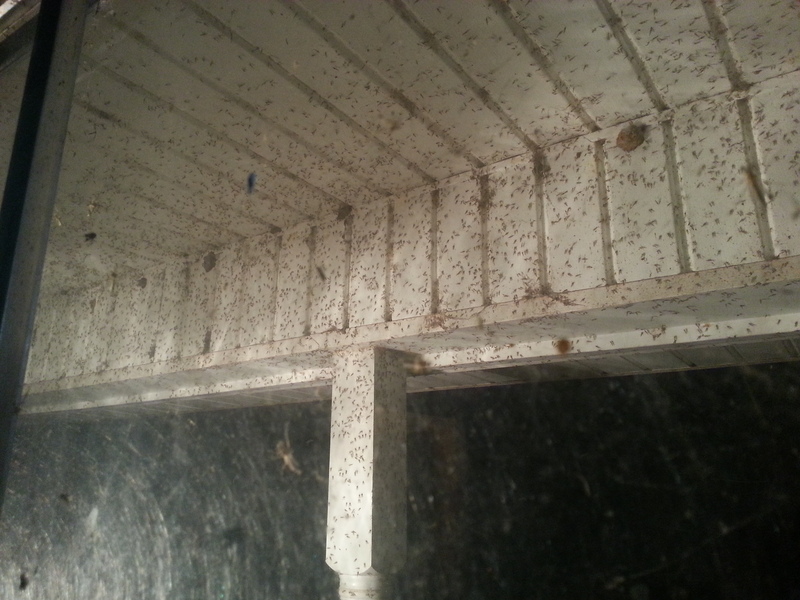 Didn’t really notice how bad it was until we came inside through the garage and heard the little buggers pelting the windows. When we looked out we were SHOCKED! 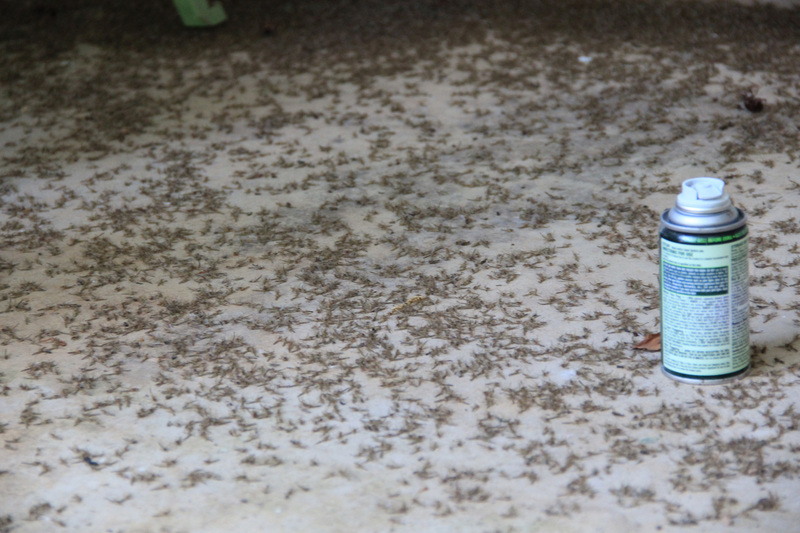 I think this is what you would call a SWARM! 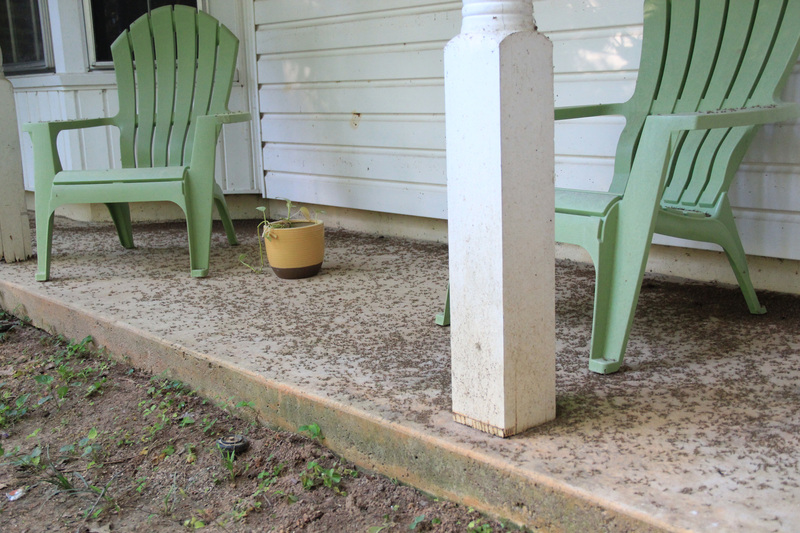 Thankfully, the next day our new neighbor asked, “How about those bugs last night? Wasn’t that CRAZY!” So, that comment rested my mind that this is NOT an everyday, warm-spring night occurrence. WHEW!! Feeling like I’m in an Alfred Hitchcock movie right about NOW! 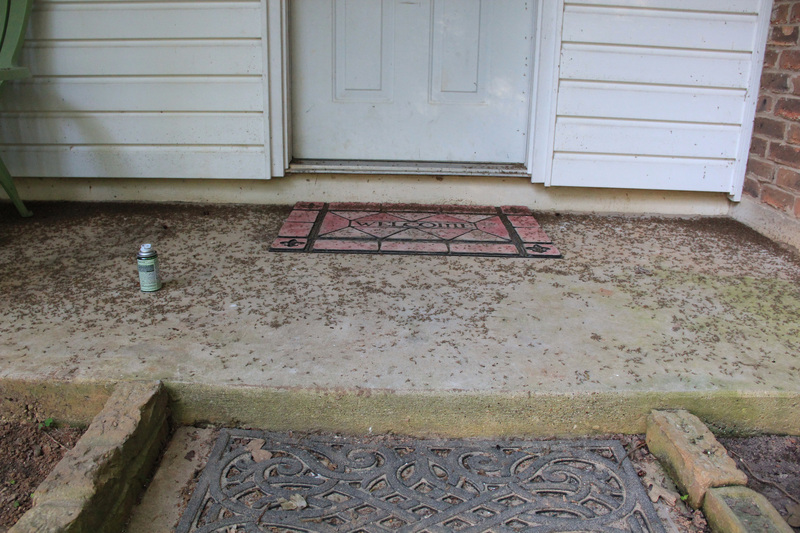 My husband braved the SWARM and placed a bug bomb on the front porch. OH MY! Oh my, goodnight little bugs. Hope nobody got any bites! No bites! But unfortunately, when we were moving furniture I took a breath and inhaled one or thirty :>O I coughed for hours after trying to dislodge whatever decided to hang out in my throat! It was AWFUL!